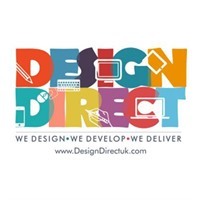 Design Direct, the web design and web development experts, today announced the launch of their new services in website design and web development as part of their comprehensive expansion plans to reach out to various industrial sectors in the UK. The new services will now help various industrial sectors such as Real Estate, Restaurants, Nursery, Healthcare, Education, Recruitment, Automotive, Beauty & Salon, Energy and others to have a well designed and developed website to be established as a business that most people will easily recognise. The company has already invested a good amount of manpower in creating their first promotional website for Estate Agents. "We have been in the business for over 12 years and we're excited to introduce our new web design services especially for industrial sectors. I can promise that these website solutions will be as unique as you are", said Roy’s, Managing Director of Design Direct." We know how hard it is to choose from the many companies offering web design services in the UK, especially London, but you'll notice a difference when working with us. We have the experience, the talent and the desire to see our clients succeed. So whether you're just starting out and need a new website, or your current website needs some care and attention, Design Direct can do it”, he added. The new services will now help companies to have more reach to customers far and wide with the benefit to increased sales. All the websites designed will have a well-conceived graphic design, clear navigation and rich content which will play a key role in helping industrial companies to land new customers. The company MD, Roy’s promises that the new web design services along with a few promotional services will help Industries to increase traffic to their website, and in turn maximise conversion rates and direct bookings. To achieve this goal, Design Direct is also working in partnership with a stream of industrial companies to give its professional staff of designers a keen understanding of the needs of industrial buyers and sellers.